The Mirror World is accessible on a Zero character. There are storyline quests where you need to obtain items from the bosses and such. EXP: Found in Mirror World Leafre's first hunting ground, Western Minar Forest. 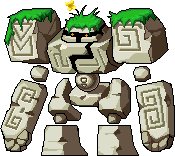 EXP: The boss of Mirror World Leafre's first hunting ground, Western Minar Forest. EXP: Found in Mirror World Leafre's second hunting ground, Eastern Minar Forest. EXP: The boss of Mirror World Leafre's second hunting ground, Eastern Minar Forest. 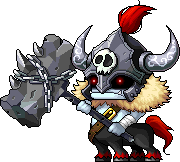 Unlike the real Kentaurus King, this one can Zombify, and its attacks can stun and weaken. EXP: Found in Mirror World Leafre's third hunting ground, Twilight Forest. EXP: The boss of Mirror World Leafre's third hunting ground, Twilight Forest. Unlike the real Manon, it can reverse player controls instead of stun, and can poison instead of dispel. 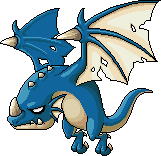 EXP: Found in Mirror World Leafre's fourth hunting ground, Wyvern Gorge. 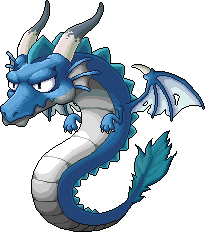 EXP: The boss of Mirror World Leafre's fourth hunting ground, Wyvern Gorge. Unlike the real Leviathan, its ice attack can freeze, and its fire attack can dispel. EXP: Found in Mirror World Ariant's first hunting ground, the West Entrance of Ariant. EXP: The boss of Mirror World Ariant's first hunting ground, the West Entrance of Ariant. Unlike the real Deo, this version can transform you into a Ribbon Pig for 10 seconds, and can poison with his cane smash. EXP: Found in Mirror World Ariant's second hunting ground, the East Entrance of Ariant. EXP: The boss of Mirror World Ariant's second hunting ground, the East Entrance of Ariant. Instead of dispelling, it can blind you. EXP: Found in Mirror World Ariant's third hunting ground, the North Entrance of Ariant. EXP: The boss of Mirror World Ariant's third hunting ground, the North Entrance of Ariant. Unlike the real Desert Giant, this one fights back. It can pound the ground, making sand shoot up in the air, and it can also throw sand onto you. It can heal itself for around 240,000 HP. EXP: Found in Mirror World Ariant's fourth hunting ground, the Pyramid. EXP: Found in Mirror World Ariant's fourth hunting ground, the Pyramid. Unlike the real Guardian Tower, it also possesses several skills instead of just attacks: transforming you into a Ribbon Pig, Seal, Zombify, Heal for 240,000 HP, and Weapon Cancel. EXP: Found in Mirror World Henesys's first hunting ground, Small Mushroom Park. EXP: The boss of Mirror World Henesys's first hunting ground, Small Mushroom Park. Unlike the real Mushmom, this one can stun with its earthquake attack. 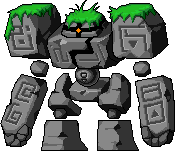 EXP: Found in Mirror World Henesys's second hunting ground, Golem's Territory. 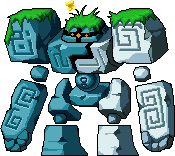 EXP: The boss of Mirror World Henesys's second hunting ground, Golem's Territory. EXP: Found in Mirror World Henesys's third hunting ground, Golden Coast. 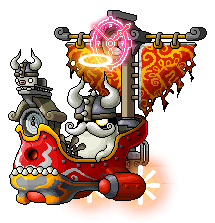 EXP: The boss of Mirror World Henesys's third hunting ground. 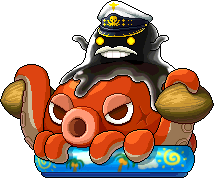 Unlike the real Captain Darkgoo, this one can stun and poison with its attacks, Golden Coast. EXP: Found in Mirror World Henesys's fourth hunting ground, Deep within Sleeping Forest. EXP: The boss of Mirror World Henesys's fourth hunting ground, Deep within Sleeping Forest. 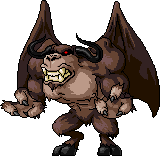 Unlike the real Jr. Balrog, this Jr. Balrog can Zombify and stun with its attacks. EXP: Found in Mirror World Mu Lung's first hunting ground, Master Training Center. EXP: The boss of Mirror World Mu Lung's first hunting ground, Master Training Center. Unlike the real King Sage Cat, this one can transform you into a Ribbon Pig and reverse your controls. EXP: Found in Mirror World Mu Lung's second hunting ground, Sky Forest. 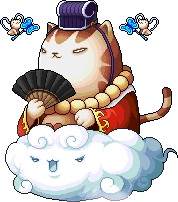 EXP: The boss of Mirror World Mu Lung's second hunting ground, Sky Forest. Unlike the real Giant Centipede, this one can Zombify, poison, and stun with its attacks. EXP: Found in Mirror World Mu Lung's third hunting ground, Bear Territory. EXP: The boss of Mirror World Mu Lung's third hunting ground, Bear Territory. Unlike the real Tae Roon, this one can make itself invincible for 10 seconds, and can stun with its energy bolt. EXP: Found in Mirror World Mu Lung's fourth hunting ground, Herb Garden. EXP: The boss of Mirror World Mu Lung's fourth hunting ground, Herb Garden. It can make itself invincible for 5 seconds. It attacks by slashing in front of it, and blowing at you, the latter reversing your controls. EXP: Found in Mirror World Mu Lung's fifth hunting ground, Pirate Hideout. 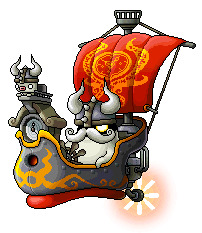 EXP: The boss of Mirror World Mu Lung's fifth hunting ground, Pirate Hideout. 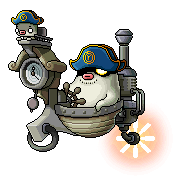 Unlike the real Lord Pirate, this one can heal itself and surrounding mobs by 360,000 HP, Seal, create a Poison Cloud, Damage Reflect, and place a bomb on you. With its hook-smash attack, it can stun. EXP: Found in Mirror World Kritias's hunting ground, Outside Kritias, easy mode. It can slow your movement when it attacks. EXP: Found in Mirror World Kritias's hunting ground, Outside Kritias, easy mode. It can poison you when it attacks. EXP: Found in Mirror World Kritias's hunting ground, Outside Kritias, easy mode. It can dispel you when it attacks. EXP: Found in Mirror World Kritias's hunting ground, Outside Kritias, easy mode. It can stun you when it attacks. EXP: Found in Mirror World Kritias's hunting ground, Outside Kritias, easy mode. It can weaken you when it attacks. EXP: The boss of in Mirror World Kritias's hunting ground, Outside Kritias, easy mode. Unlike the real Giant Blackheart, this one can pull you toward it, place a bomb on you, Seal, and raise its Weapon Defense. EXP: Found in Mirror World Edelstein's first hunting ground, Streetlight Street. EXP: The boss of Mirror World Edelstein's first hunting ground, Streetlight Street. Unlike the real Trash Can found in Cooking with Tangyoon, it can make itself invincible for 5 seconds, cast Damage Reflect, and reduce your visibility with the attack where it smacks you with a trash bag. EXP: Found in Mirror World Edelstein's second hunting ground, Perilous Rocky Mountain. 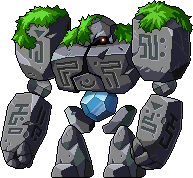 EXP: The boss of Mirror World Edelstein's second hunting ground, Perilous Rocky Mountain, unique to Mirror World. It can heal itself and surrounding mobs by 30,000 HP, and can cast Damage Reflect. It attacks by slamming its fist into the ground, locking your character until you escape by pressing the left and right arrow keys repeatedly, and can create an earthquake by jumping, Mushmom-style, capable of stunning. EXP: Found in Mirror World Edelstein's third hunting ground, Rue Mine Depths. EXP: The boss of Mirror World Edelstein's third hunting ground, Rue Mine Depths, unique to Mirror World. It can reduce your visibility and weaken. It attacks by launch something out of its mouth at you, capable of stunning, and smashing the ground with its front legs. EXP: Found in Mirror World Edelstein's fourth hunting ground, Mine Security Area. EXP: The boss of Mirror World Edelstein's first hunting ground, Mine Security Area. 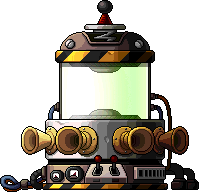 Unlike the real Poison Gas Generator, it can heal itself and surrounding mobs for 1,800,000 HP, Zombify, cast Damage Reflect, poison with its electricity attack, and lock your character until you escape with the arrow keys with its gas attack. EXP: Found in Mirror World Magatia's first hunting ground, Zenumist's Laboratory A.
EXP: The boss of Mirror World Magatia's first hunting ground, Zenumist's Laboratory A. 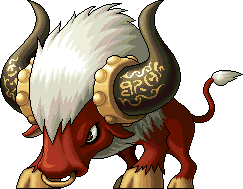 Unlike the real Rurumo, it can Potion Block with one of its attacks. 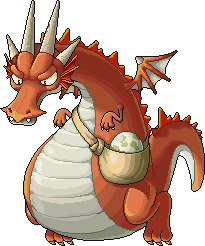 EXP: Found in Mirror World Magatia's second hunting ground, Alcadno's Laboratory A.
EXP: The boss of Mirror World Magatia's second hunting ground, Alcadno's Laboratory A. Unlike the real Security Camera, it can stun with one of its attacks, and slow with the other. EXP: Found in Mirror World Magatia's third hunting ground, Zenumist's Laboratory B.
EXP: The boss of Mirror World Magatia's third hunting ground, Zenumist's Laboratory B. 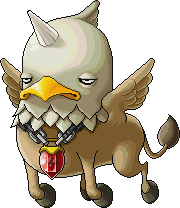 Unlike the real Chimera, it can reverse your controls, create a poison cloud, and can stun with its missile launch attack. 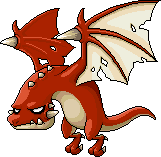 EXP: Found in Mirror World Magatia's fourth hunting ground, Alcadno's Laboratory B.
EXP: The boss of Mirror World Magatia's fourth hunting ground, Alcadno's Laboratory B. Unlike the real Deet and Roi, it can reverse your controls, create a poison cloud, pull you towards it, create a poison cloud with its missile launch attack, stun with its electricity attack, and 1/1 with its close range laser. EXP: Found in Mirror World Ludibrium's first hunting ground, Toy Factory. EXP: The boss of Mirror World Ludibrium's first hunting ground, Toy Factory. Unlike the real Targa, it can heal itself and surrounding mobs by 360,000 HP. EXP: Found in Mirror World Ludibrium's second hunting ground, Inside Clocktower. 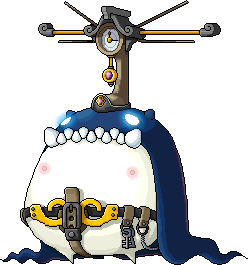 EXP: The boss of Mirror World Ludibrium's second hunting ground, Inside Clocktower. Unlike the real Targa, it can heal itself and surrounding mobs by 1,800,000 HP, make itself invincible for 5 seconds, and weaken with its super knockback attack. EXP: Found in Mirror World Ludibrium's third hunting ground, Clocktower Lower Floor. 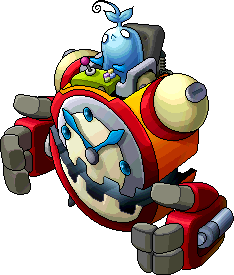 EXP: The boss of Mirror World Ludibrium's third hunting ground, Clocktower Lower Floor. Unlike the real Alishar, it can place a bomb on you, and can stun and super knockback with its attack. EXP: Found in Mirror World Ludibrium's fourth hunting ground, Clocktower Bottom Floor. EXP: This. 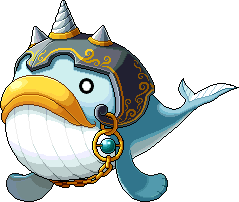 It follows you around, just like the real Papulatus. EXP: Found in Mirror World Temple of Time's first hunting ground, Memory Lane. EXP: The boss of Mirror World Temple of Time's first hunting ground, Memory Lane. Unlike the real Dodo, it can cast Damage Reflect and pull you towards it. It can also stun with its projectile attack, and seal with its close range attack. EXP: Found in Mirror World Temple of Time's second hunting ground, Road of Regrets. 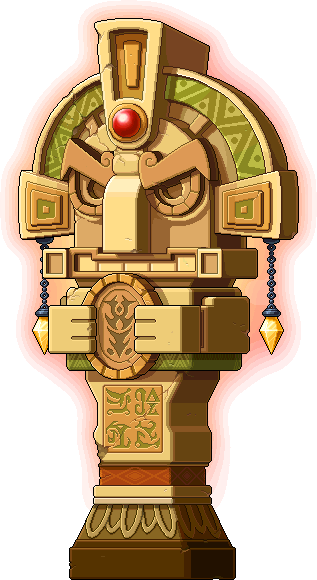 EXP: The boss of Mirror World Temple of Time's second hunting ground, Road of Regrets. Unlike the real Lilynouch, it can heal the HP of itself and surrounding mobs by 500,000. 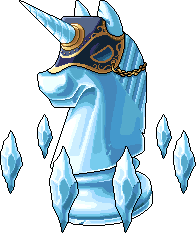 It can also freeze you with its ice shard attack and stun you with its super knockback attack. EXP: Found in Mirror World Temple of Time's third hunting ground, Road to Oblivion. EXP: The boss of Mirror World Temple of Time's third hunting ground, Road to Oblivion. Unlike the real Lyka, it can cast Damage Reflect, Slow, Zombify, and pull you toward it. It can stun and deal 1/1 with its fire shard, and it can super knockback and reverse your controls with its close ranged attack. EXP: Found in Mirror World Kritias's hunting ground, Outside Kritias, hard mode. It can slow your movement when it attacks. EXP: Found in Mirror World Kritias's hunting ground, Outside Kritias, hard mode. It can poison you when it attacks. EXP: Found in Mirror World Kritias's hunting ground, Outside Kritias, hard mode. It can dispel you when it attacks. EXP: Found in Mirror World Kritias's hunting ground, Outside Kritias, hard mode. It can stun you when it attacks. EXP: Found in Mirror World Kritias's hunting ground, Outside Kritias, hard mode. It can weaken you when it attacks. This page was last edited on 16 September 2017, at 19:57.